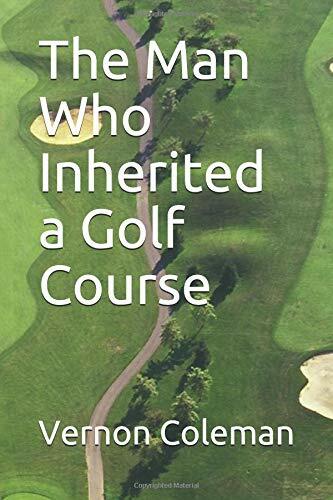 The Man Who Inherited a Golf Course has sold over 30,000 hardback copies in the UK alone. This is the first time this novel has been available as an ebook and the first time it has been available outside the UK. Vernon Coleman is also the author of the bestseller Too Many Clubs and Not Enough Balls and the hugely successful bestselling Bilbury series.`As captain of my golf club I thought your book was a hoot.’ – H.D.`An excellent and amusing story and I’m not even a golfer.’ J.H.`Light hearted entertainment – very readable.’ – Golf World`Thank you for providing me with hours of happy reading.’ E.M.`Hugely enjoyable, in the best tradition of British comic writing.’ Evening Chronicle`The scenario is tailor made or Vernon Coleman’s light and amusing anecdotes about country life and pursuits. His fans will lap it up.’ Sunday IndependentVernon Coleman has written over 100 books (many of which are now available as Kindle books on Amazon). Should we use lake balls?